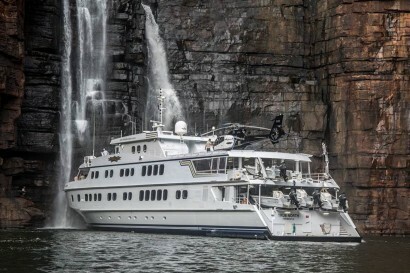 True North Adventure Cruises offers adventure-cruises all around the magnificent Australian coastline and, in the stunning waters of Indonesia and Papua New Guinea. The TRUE NORTH is purpose built to provide unparalleled access to coastal wilderness. True North Adventure Cruises pioneered adventure-cruising along the Kimberley coast in Australia’s remote north west. 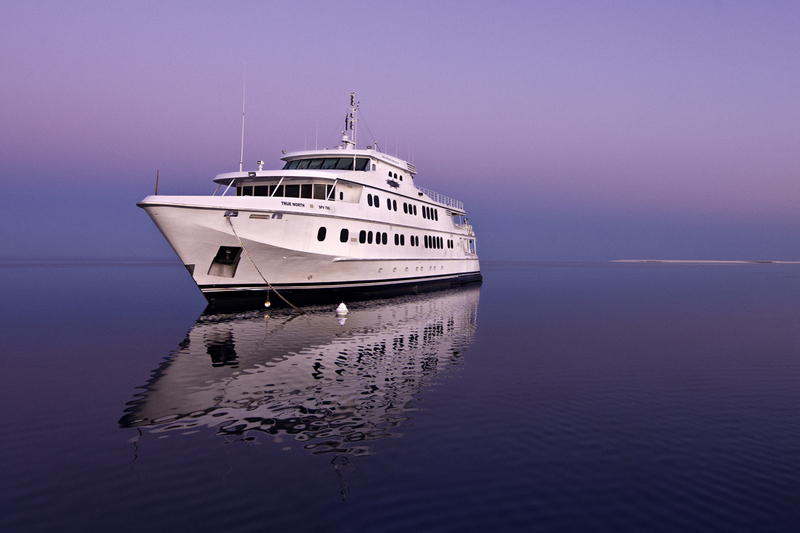 Carefully crafted itineraries provide for almost exclusive focus on the destination. Sea days are specifically excluded and daily activities can include walks, fishing, snorkelling, diving, picnics and cultural events. 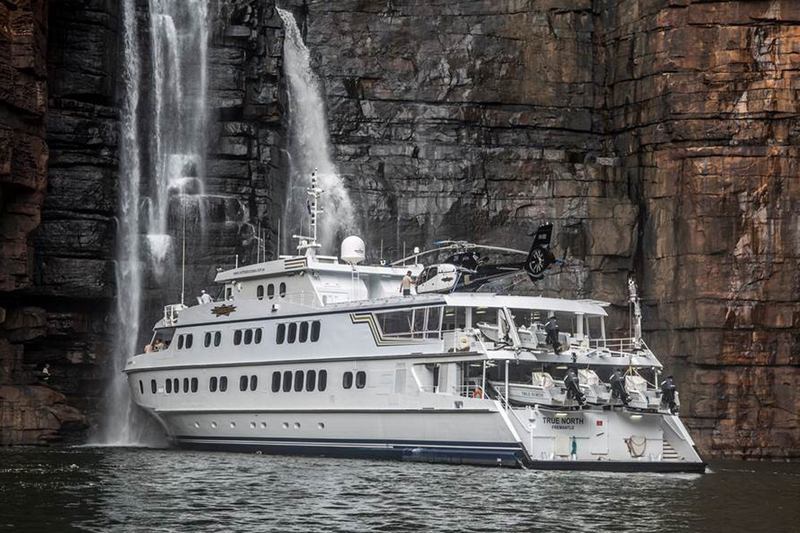 The purpose-built TRUE NORTH is able to access wilderness areas where bigger ships cannot go. Dedicated adventure-boats (6) explorer further and allow for different activities to be conducted at the same time. 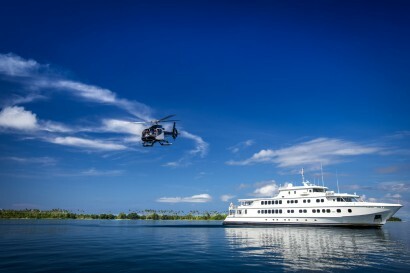 Most itineraries feature a ship’s helicopter. 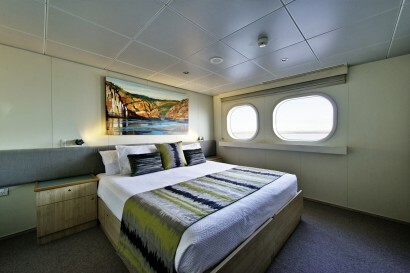 The ship also features stylish accommodation and 22 crew chaperone just 36 guests. The ship undergoes annual refit. A major refit was competed in February 2016. • This purpose built vessel features a shallow draft provides unparalleled access. 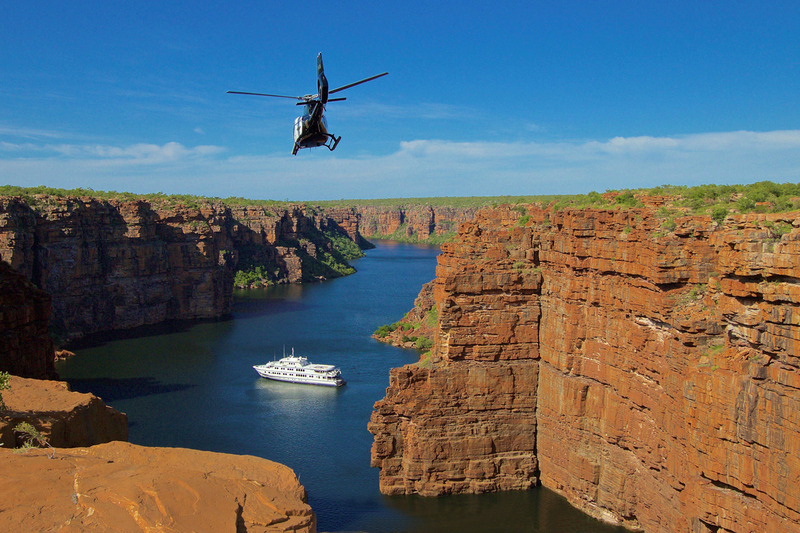 • 6 adventure boats and ship’s helicopter allow guests to explore further afield. 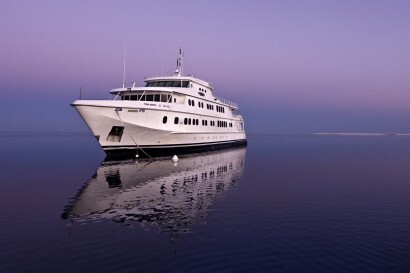 • Sea days are excluded and activity-based itineraries provide unequalled opportunity to experience the destination. • Small group – maximum 36 guests. • 22 crew ensure attention to detail and personal service. • Revered reputation for dining. * Maximum adventure in comfort and style. 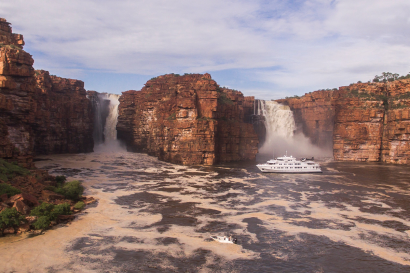 Destinations include the Kimberley – a panorama of spectacular gorges and majestic waterfalls; the bucket-list Rowley Shoals, the intriguing islands of Raja Ampat; the mighty Sepik River and the un-spoilt islands of Papua New Guinea and, mysterious Bougainville! • Crew members are mostly young Australians and the experience is very authentic. 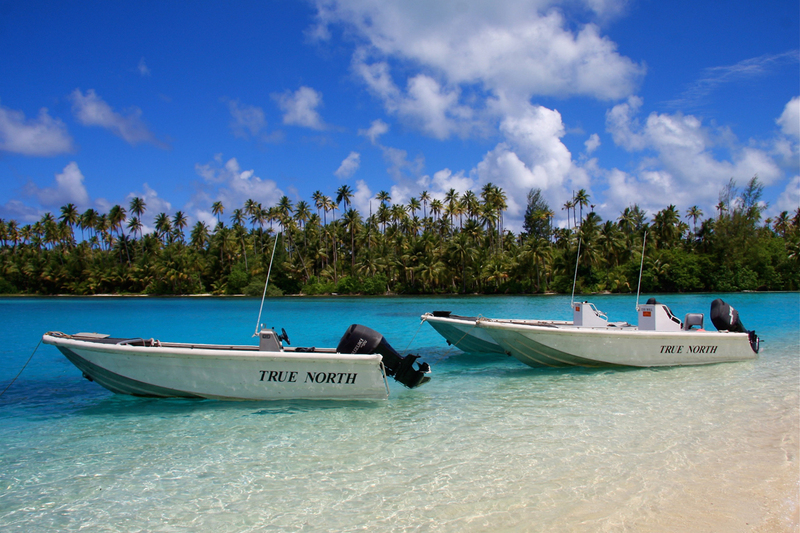 • Fishing is featured on most itineraries and the chefs regulary feature fresh fish caught by the guests. • Guests spend most of every day engaging in off-ship activities. • The ship has an open-bridge policy. The ship has a family atmosphere. 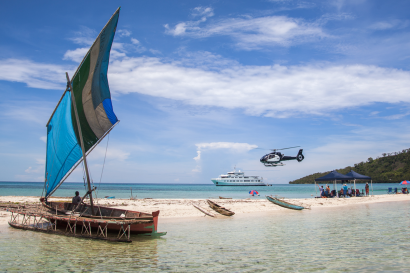 It is common to encounter family groups on-board especially during the Rowley Shoals season when the emphasis is almost entirely on snorkelling, diving and fishing. 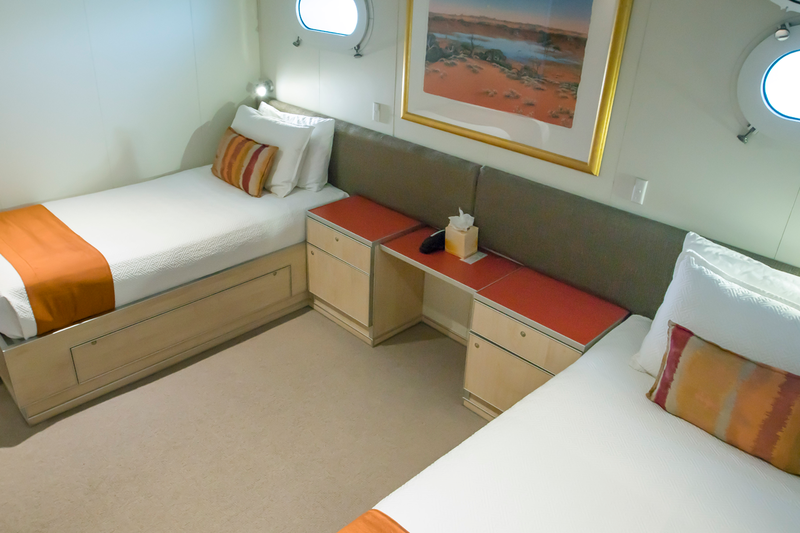 • Explorer Class stateroom x 4. Upper deck king size double with private facilities. 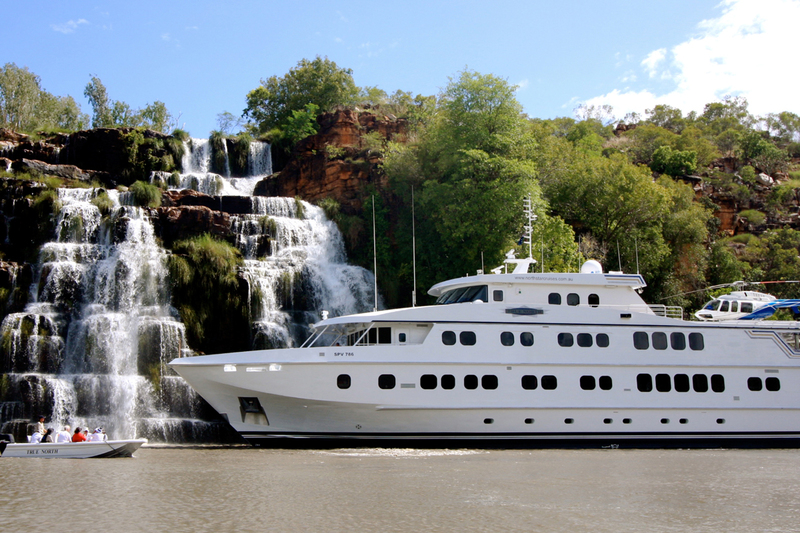 Large panoramic windows, in-cabin entertainment and satellite telephone. 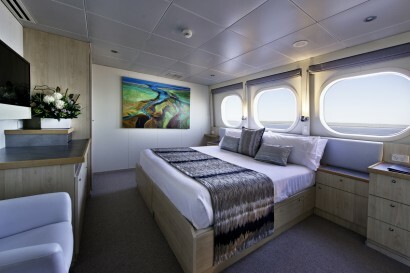 • River Class stateroom x 6. Mid-deck king size double with private facilities. Large panoramic windows, in-cabin entertainment and satellite telephone. • 2 x chef featuring modern Australian cuisine. Unassigned dining in spacious dining salon with panoramic windows. 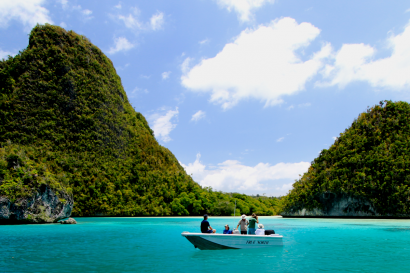 Daily off-ship activities include hiking, swimming, snorkelling, SCUBA diving, cultural events and sightseeing. Well suited to corporate buy-outs. Ship’s lounge has wall mounted presentation screens.